Thanks to the donations and contributions collected during Dynamo International’s participation in the annual Belgian fundraising campaign (Operation 11.11.11), a meeting of Nepalese street social workers was organized from 18 to 20 December 2017 near Kathmandu. An opportunity to build the capacity of Nepali workers and advocate for the protection and social support of people in situations of exclusion, mainly children in street situations in Nepal. In addition to the advocacy and exchange of practices among Nepali street workers, this meeting also helped to consolidate the Asian network with the participation of a representative of the Philippines. The role of street social workers in Nepal: prevention first! 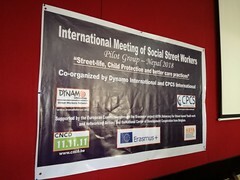 An important part of the work of the Nepalese platform of Dynamo International – Street Workers Network is prevention work. CPCS International supports in their education children who live in very difficult family situations. This with the objective to relieve families but also prevent the child from ending up on the street. The social worker follows children before and after school and maintains contact with the family through meetings and information sessions. At the seminar “Strengthening the capacities of local social actors on the protection of children and their role” of December 18, where more than thirty local social workers were present, the discussion focused on the role of the social worker in raising awareness and understanding of families and communities on the rights of the child, the sharing and dissemination of information on legal protection institutes, government institutions and the international treaty on the rights of the child. 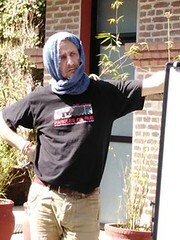 Participants committed themselves to applying their new knowledge in the communities with whom they work. The street social worker is the field actor who maintains regular and daily contacts with members of society particularly vulnerable, often victims of human rights violations. He or she is also a valuable partner for local authorities and relevant institutions. The second seminar on 19 December enabled workers from the 15 Nepalese organizations involved in street social work and rehabilitation to share their current difficulties with new government regulations. With the Nepal Police Department in charge of missing and found children, street social workers discussed, among other things, how to urgently modify current government practices, not only in the interest of the child but also to rebuild trust between the street social worker and the child. In Nepal, a hide-and-seek game has been taking place in the street between the field workers and youngsters in street situations. Today, children and young people no longer trust the actors on the ground. The trust is broken and the children think that field worker works for the government and the police. The new government policy is pointed out. To all that must be added the ostentatious presence of the police in the streets, which does not help to restaure confidence. With the recent parliamentary elections, the current political situation is very uncertain. Street social workers call on institutions and municipalities to share their problems and reach agreements. In response, the representative of the police in charge of missing and found children said he would hold a meeting with the authorities and disseminate information and policy improvements to the stakeholders. Marie-Françoise Michel of the Virlanie Foundation in the Philippines also highlighted the issues currently facing street children and street educators in Manila. Given the political situation and the current president’s war on drugs, the problems have been shared and compared to the situation in Nepal. 13,000 people lost their lives because of raids by the police and the army. The situation of street social workers is dangerous because of the risk of being arrested and thrown in prison and of violent shooting in the streets.